A lot of the makeup and beauty products I use, review and promote aren't cruelty free. I've come to recognise, especially over the past year, that for many of you this is something extremely important - and I want to preface this post by saying that I absolutely understand why you are so passionate about the topic. As a blogger who doesn't exactly share or seem to show any interest about it on her site, admittedly, I'm sure you can see that this puts me in quite an awkward position. When it comes to animal testing and the beauty industry, there's no denial that this is a controversial and sensitive issue that is difficult to talk about as it is a subject that is often met with a lot of anger and disgust. 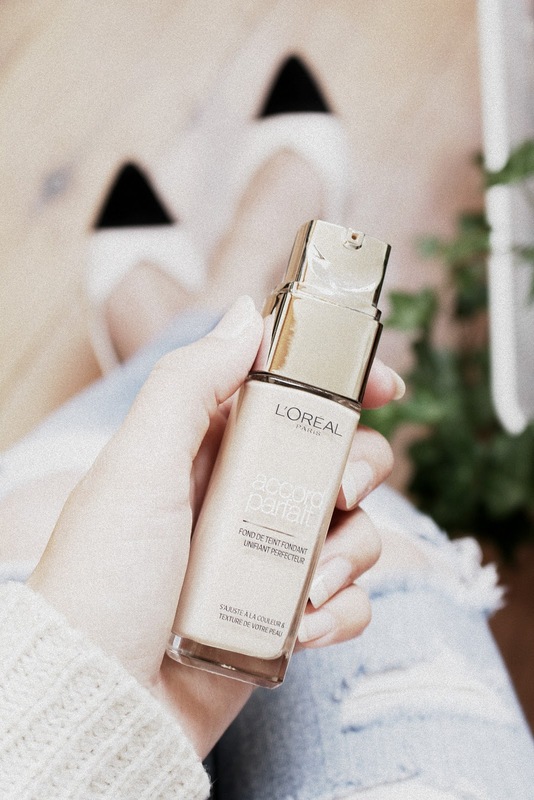 After yet another 'that product is not cruelty free' comment on one of my recent blogposts I thought I'd finally share with you why exactly I haven't gone the cruelty free route and why your comments, more often than not, leave a bad taste in my mouth. I want to share with you that I'm not as ignorant about the topic as you might think and show you that I actually have been changing things up in my life - without talking about it on my socials. Some of you already know my story but the majority of you do not - and I'm hoping that you'll be just as kind and understanding towards the matter as some of my dearest (vegan) followers have been (you know who you are). To those followers, I want to say thank you for being so supportive, even though we don't really share the same ideals for now, and for being there for me in more ways than I could have ever imagined. I love when you pitch your ideas and send me photos of products that you love. It's something that I find very fun, I take notes of everything you share and I want to emphasize that you are making a difference. 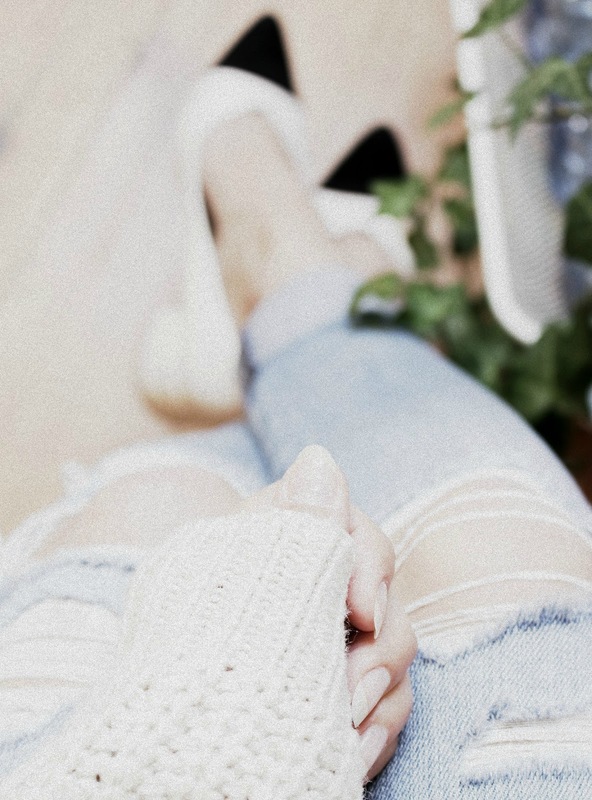 I'll be sure to talk about the changes I've made later on in this post, thanks to you, but first an foremost let me explain the main reason why I'm not a cruelty free blogger. This story is very important so I'd love for you to take your time to read it, even though it's probably a bit long. Growing up it was my parent's goal to live as sustainably as possible, as healthy as possible and have as many savings as possible. I spent my childhood in a small village, in a farm-like house with a massive garden, having a stay at home mom and a working dad. It is only when I started therapy 2 years ago (I am now 28) that I came to the understanding that my parents had taken their sustainable lifestyle to such extremes that I'm now having to seek help, to heal from what is called childhood trauma. Never in a million years did it cross my mind that the way we lived at home wasn't okay. Not only because my parents lived so sustainably that our household had no running hot water, no heating, no tv and no internet, they also had very bizarre ideas about the world and about people. I didn't have a childhood. I was treated as a tool. I was told, every day, to dedicate my life trying to make this planet a better place because everyone else was destroying it. I was told people were bad, that society was poisoned and that I wasn't to trust anyone. It also didn't help that my parents weren't the type of people to (first) seek advice from doctors or counselors, they believed in (natural) remedies. That's how dedicated they were to this eco-friendly lifestyle. The ground floor was heated with wood, we only dressed in second hand clothes and hand me downs and everything we ate had to be organic and from our own farm or garden. There was no heating in our bedrooms so during Winter we were absolutely freezing. Every penny was spent on making the house the perfect eco-friendly habitat and nothing was ever dedicated to comfort, happiness or joy. As you can imagine, I was incredibly confused as a child, I didn't understand why I was always so scared. Why I was constantly stressed and anxious. Why I felt like I didn't fit in anywhere. I lived in a world where the people that I was supposed to trust the most were letting me down, by not allowing me to make my own choices, by not allowing me to grow as a person or to discover my own style. I was punished time and time again for not liking books and art, or whatever else it is that hippie people like to do. I was punished for having lice, that I caught at school, by having my hair cut completely short, to end up looking like a boy. Beauty or personal hygiene in our house wasn't seen as important. Liking technology and makeup and trendy clothes was bad and that was my reality until I was well in my twenties. There wasn't any room for me to make up my own mind about anything, it was all done for me and it was also the only way that I felt like I could survive, growing up in this environment. I had an extremely hard time at school, I was bullied for being different and especially for not knowing any better than what I was told at home. If you look up the term Ecorexia it doesn't exactly embody everything I've talked about but it covers the majority of it. To keep it short, it is a condition where you're so obsessed trying to be eco-friendly that you're making yourself miserable. In this case, the children weren't cared for properly at home and they were often left to fend for themselves. This is why I'm now a stay at home girlfriend, with mental health issues, and why I was suicidal for most of my life. This is why I don't talk to most of my family anymore - because some of them still believe that this is how you're supposed to live your life. By restricting yourself so much that you are miserable. By believing that you need to suffer to be the better person. By giving up all your comfort for the greater good. This is why I do not want to restrict myself today - because I was never given a choice. I hope you can look at the facts and see why committing to 'cruelty free beauty blogging' isn't really something I want to do at the moment. I also think that I'm well in my right to feel sad or angry, when those of you who like to (sometimes not so kindly) let me know that what I'm using on my blog isn't cruelty free. I've done my part 'to save the planet and the animals' and I'm tired. I get that many of you are trying to spread awareness and that you are trying to let people know what goes on 'behind the scenes' in the beauty industry, but you don't know what people have gone through or what they are actively doing now to make a change. You've never asked, you're simply assuming. No one forced this cruelty free lifestyle upon you, you were free to make that choice yourself. So, what I'd like to propose is that instead of criticising people when you see something you don't like, cheer people on for featuring choices that you do like. I have featured cruelty free brands on my blog but I don't see any of you social justice bloggers in my comment section. Believe me, I know what it's like to be mad at people for seeing them do things that you feel are wrong - because I've been there but I've learned that there is nothing more counter productive than to make people feel bad about their choices. Educating should be your first priority. The process might be slower but it's going to be so much more worth it in the long run. 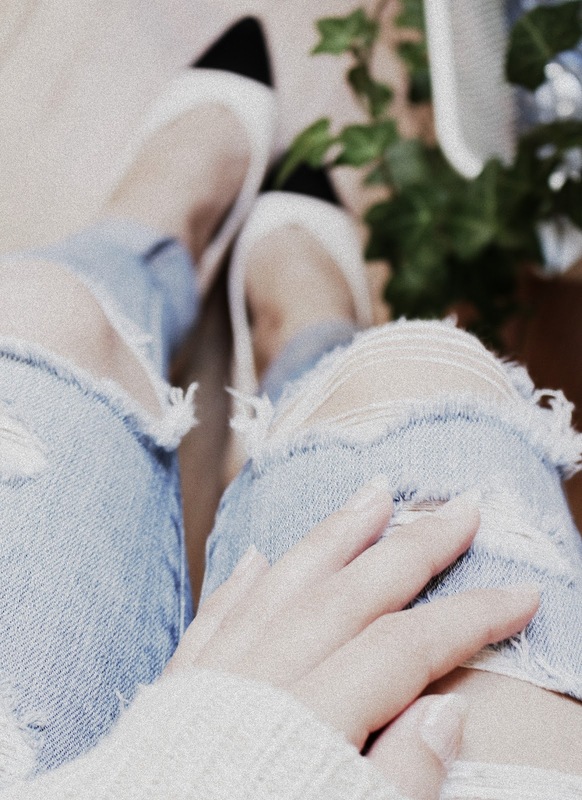 Now here are some of the changes I have made that you don't see on my blog, as I'm getting to know myself more and more by going to therapy. I'm starting to learn what makes me happy and what doesn't. I'm finally making my own choices and some of those choices include: not purchasing any dairy milk (and I haven't for over a year), to mostly eat vegetarian when I order food, to choose for cruelty free and vegan hand soaps, hand creams, perfume and deodorant. Not to buy leather purses, belts, shoes and jackets anymore. To include as many vegetarian and vegan recipes in our weekly meal plans as possible. I also love to follow and support many vegan and cruelty free youtubers and blogs. I've watched all possible documentaries and continue to stay up to date with all the changes in this movement. I'd say I'm pretty caught up with everything there's to know about cruelty free products. In the end, truth be told, caring about animals is not the end-all be-all of being a good person. Not using makeup and beauty products that is tested on animals is a lifestyle choice that doesn't and shouldn't invalidate any other lifestyle. It's okay for people to prioritise different things and to have different goals in life. My priority right now is my mental health and that's okay. I want to get better to be a better person. Everyone is a work in progress. Wow, first of all, I want to congratulate you for having the strength to deal with your problems and to share your story here. It sounds beyond messed up, and I can only imagine it left some deep scars. And secondly, I could not agree more that we can all actually help support causes we believe in by being positive towards those supporting that cause, instead of bashing those who don't. Positivity and love are the ways to spread a message, not exclusion and meanness! Hi, I'm sorry you had such a hard upbringing and that you have to deal with the issues well into adulthood. I think the problem in this case is not particularly that you are trying to find your way in life, "not restricting yourself" in using animal-tested products, but rather that with your blogging about these products you are promoting their use, thus leading more people to support these brands. Obviously you need to focus on your mental health and prioritize it, but this is just my humble opinion. Wishing you all the best! I know, I think choosing for cruelty free blogging requires an effort that is sometimes underestimated. At the moment I prefer to focus my energy on other things, like you said, and as soon as my health has improved I can change and make more choices I feel comfortable with, whether that is blogging about cruelty free products or not :) Thank you!